Gilles Plains Shopping Centre is not only the go-to retail destination for its local community, but has also been a treasured centre within the Makris Group portfolio since 1989. Located approximately 15 km northeast of Adelaide’s city centre, Gilles Plains Shopping Centre occupies a prime site with high exposure, easy access and convenient parking. The centre recently underwent a $30 million major redevelopment and expansion, unveiling a contemporary look and refreshed offering that sent ripples of excitement and renewed energy through the community. 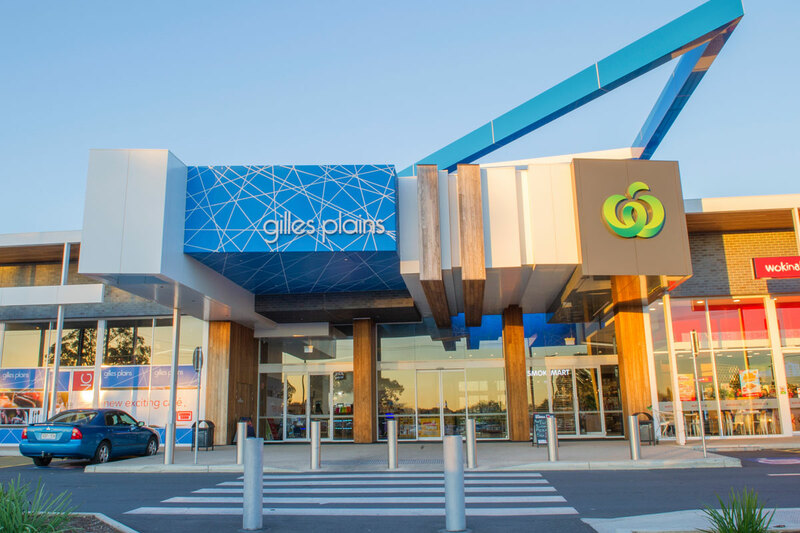 Surrounded by new housing developments, Gilles Plains Shopping Centre is a thriving destination for families, boasting a brand-new Woolworths store, ALDI, Dan Murphy’s and renovated Reject Shop. New specialty stores include Younger Asian Grocery, Vodafone, Flight Centre, Wok in a Box, Barber Boys, Smokemart, Momo Sushi, Blink Hair and Bubba Pizza. Gilles Plains Shopping Centre is located on North East Road, Gilles Plains, and comprises a total leasable area of 12,821.10sq m across 27 specialty tenancies and 3 majors.